(M.A.Ed. in School Counseling) Julie is a co-founder of The Sprout Experience and a special education teacher in a public school district. She has extensive experience leading international student travel programs and is a certified SCUBA diver. Her past destinations have included Trinidad & Tobago, Kenya, Galapagos Islands, Bonaire, Australia, Ireland, Scotland, Wales, Switzerland, England, France, Belgium, Germany, the Netherlands, Mexico, Canada, and locations across the U.S. Julie was also a trip leader for the Maasai Music Project (2014). (M.S. in Environmental Education & Biology) is a co-founder of The Sprout Experience and a science teacher in a public school district. He has extensive experience leading international student travel programs and is a certified SCUBA diver. His past destinations have included Kenya, Galapagos Islands, Bonaire, Tanzania, Mexico, Canada, Trinidad & Tobago, Ecuador, Peru, Nicaragua, Ireland, England, Scotland, Wales, and locations across the U.S. Daniel founded a national award winning Environmental Club in 2007, and the Maasai Music Project in 2009.
is a TEAM leader and partner with the Sprout Experience, and she helped pioneer the Maasai Music Project, leading expeditions in 2010 and 2012. Melinda has extensive international travel experience across Europe, Central and South America, the Caribbean and the US. a student ambassador and volunteer for TEAM Adventures and the Sprout Experience. She was a student participant in two Maasai Music Project expeditions (2012, 2014). Inspired by her two expeditions to Kenya and her travels through India and Ireland, Paige is pursuing a career in wildlife conservation and is current in the sustainability program at San Diego State University. (M.A.Ed.) is a co-founder of the Maasai Music Project and a special education teacher. Cathy also runs ReInventing The Cycle, her own non-profit that focuses on breaking harmful cycles and promoting safety and health. R.I.T.C. 's Project S.T.O.P., a complete program to help stop child abuse, is now being implemented in school districts across the state of Ohio. is a student ambassador and volunteer for TEAM Adventures and the Sprout Experience. She was a student participant in two Maasai Music Project expeditions (2010, 2014). Niki currently attends Miami University. was a TEAM leader on the Maasai Music Project's 2014 expedition to Kenya and Tanzania. She was also a driving force in the launch of the first Maasai Music Project in 2010, helping pave the way for the Sprout Experience. Kyle continues to work with Sprout's international programs. 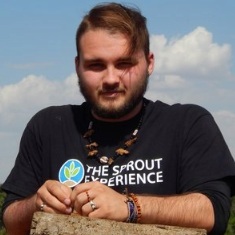 (B.S.Ed and Psychology) is a past TEAM leader with the Sprout Experience. She is an accomplished professional photographer. 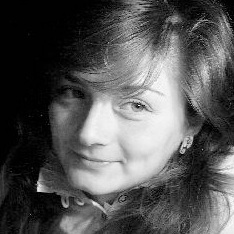 Coming from her home country of Romania, Dorina has extensive experience traveling eastern Europe, including Moldova, Hungary, Austria, Germany and Italy.